The Orange House (110m2) is a maisonette with an internal staircase that can host 9 guests. It consists of two double bed bedrooms, two twin or double bed bedrooms, one single bed bedroom and four bathrooms, out of which three are “en suite”. The open-plan kitchen has a stylish fireplace and the living-room is equipped with a sofa/bed. The large private, outdoor spaces have panoramic sea view. 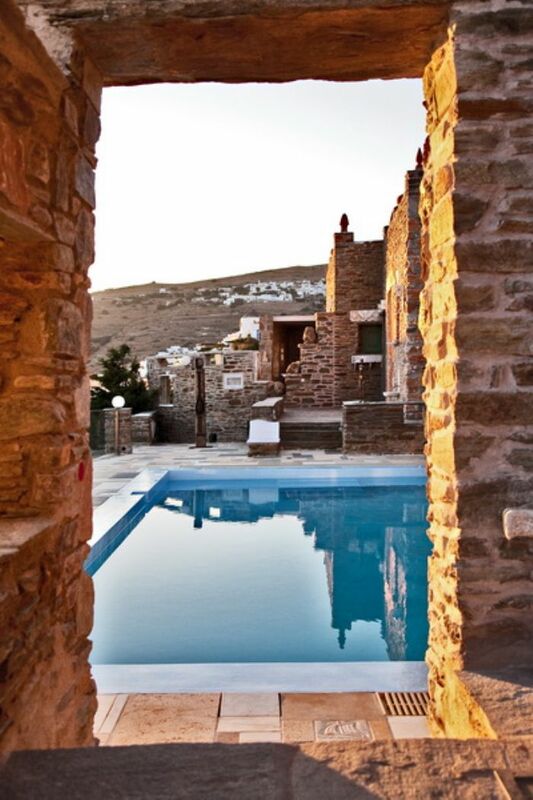 There is a half covered yard with a traditional stone oven and a marble-made sitting/dining area facing the pool. The residents can use the private swimming pool of the Orange House utilizing salt electrolysis. The house can host up to 5 extra guests.